Mellieħa’s futsal team enjoyed a positive debut after beating Msida 8-2. Nikolay Filipov was Mellieħa’s main inspiration as he struck a hat-trick to help his side overcome Msida 8-2 after the first round of matches from the Futsal First Division was played at the Corradino Pavillion. 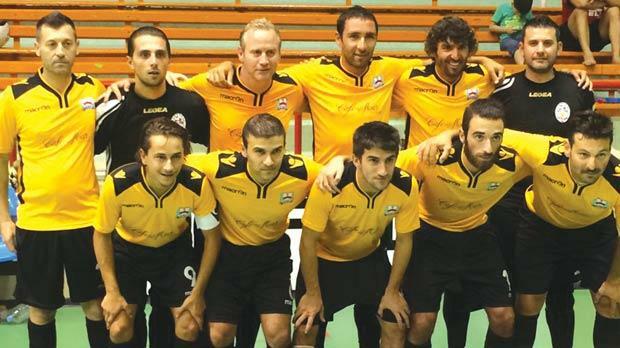 It was a dream start for Mellieħa who were making their official debut in the local futsal competitions. Fellow newcomers Attard, Lija and Mdina were also unbeaten in their first league commitments. Bulgarian duo Radoslav Kovachev and Filipov were a constant menace for the Msida defence as Mellieħa produced a remarkable second-half performance to bag the first three points at stake. The first half had been balanced as Mellieħa had the initiative and the lead but Msida pulled two goals back to pile some sort of pressure on their opponents. In the second half, Mellieħa completely dominated the proceedings, scoring five goals to rubberstamp their first victory of the season. Apart from Filipov’s hat-trick, Joseph Vella netted a brace for the Northerners while Kovachev, Josef Balzan and Ian Cilia also got on the scoresheet. Alan Micallef and Gary Zerafa scored Msida’s goals. Mdina and Mqabba shared the spoils in an entertaining match. Etienne Rodo, Thomas Consoli and Wayne Mizzi were on target for Mqabba. Mdina’s first goals in the Division One league were scored by Cleaven Portelli, Matthew Gatt and Dalziel Bugeja. Lija enjoyed a happy debut after beating Luqa 5-3. Zeljko Anicic hit a a brace for Lija who also had Jeremy Cutajar, Aleksandar Ribic and Jean Bert Gatt among the scorers. Andrew Scerri, Isaac Delmar and Alan Chetcuti were the goal-getters for Luqa. Attard and Birżebbuġa took a point each after their clash ended 2-2.